Attorney Rachel E. Potter is committed to securing the best possible results for her clients through hard work, dedication, and compassion. 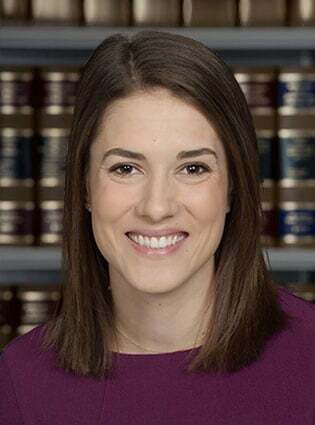 Rachel recently graduated from University of Wisconsin Law School, where she was president of the Women’s Law Student Association, competed in Mock Trial, and received the Dean’s Academic Achievement Award. Rachel began her law school career determined to make a difference in the community. While pursuing her degree, Rachel was a clinical student at the Wisconsin Innocence Project and worked with a team of students that successfully exonerated a wrongfully convicted inmate. This experience solidified her desire to help those in need and provide a voice for her clients. As an attorney at Cannon & Dunphy, she continues to pursue those ideals by representing clients who have suffered life-changing personal injuries.